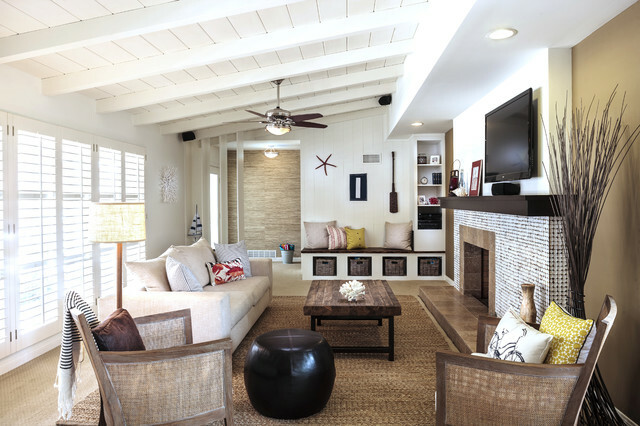 The goal for this project was to create a space that felt “beachy” for the Lewis’ who moved from Utah to San Diego last year. These recent retirees needed a casual living room for everyday use and to handle the wear and tear of grandchildren. They also wanted a sophisticated environment to reflect this point in their lives and to have a welcoming atmosphere for guests.